Installing Active Directory on Server Core is not a task that can be achieved using the Optional Component Setup tool–instead we actually have to use DCPROMO from the command line. Here’s how to do it. 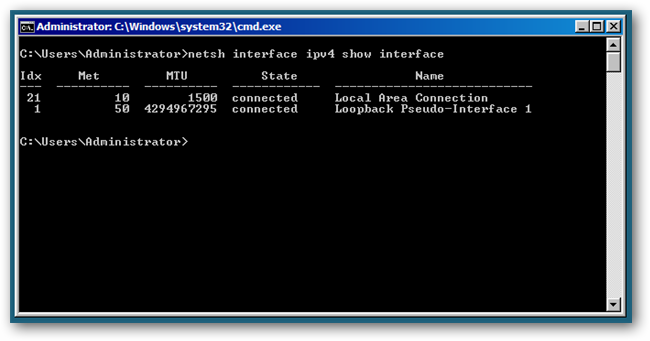 Before we install Active Directory there are a few things that need to be done first–we need to set static IP information for the network adapter as well as change the name of our server. This all needs to be done from the command line, so lets take a look at how to go about doing these tasks. We would also want to rename the server before promoting it to a domain controller, to do that we use the netdom command. 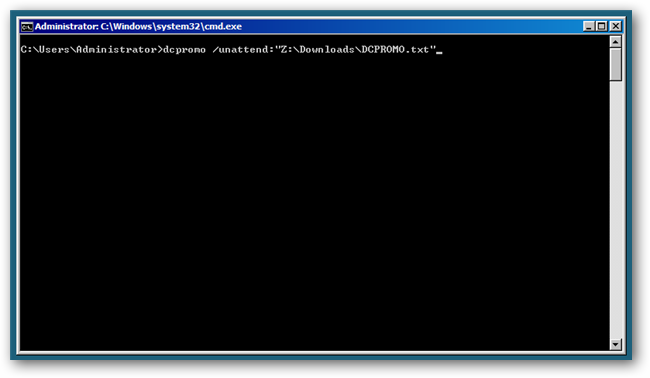 You should substitute DC1 in the following command, to whatever you want to call your server. 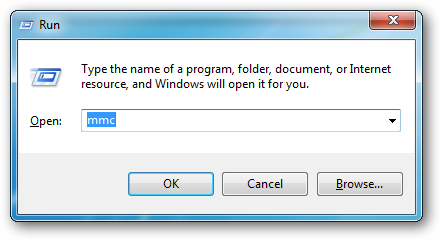 This will kick off the installation of Active Directory and reboot on completion. 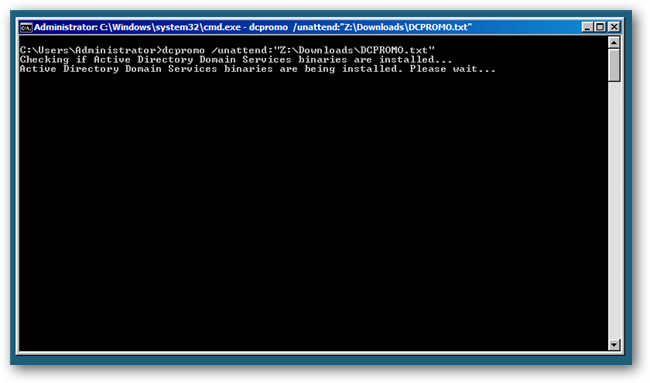 That’s all there is to installing Active Directory on Server Core. The easiest way to manage a Server Core Server is to use the RSAT (Remote Server Administrator Tools) which allows you to load up MMC consoles on any Windows 7 machine and connect to an instance of the role running on the server. You can grab the RSAT from here. 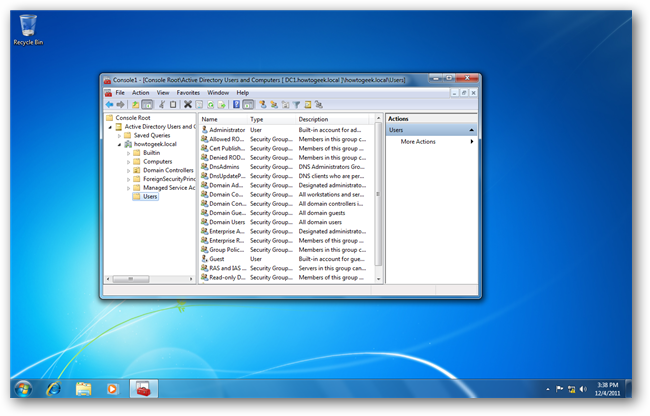 The installation is in the form of a Windows Update, once installed open the Turn Windows features on or off option from the Programs and Features section in Control Panel. 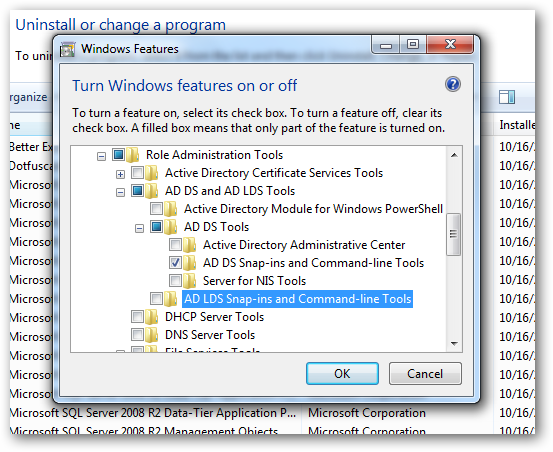 You need to add the AD DS Snap-ins and Command-line tools, check the screenshot to see how to get there. Once the components have been added, you can open a run box by hitting the Windows + R key combination and type MMC before hitting enter. 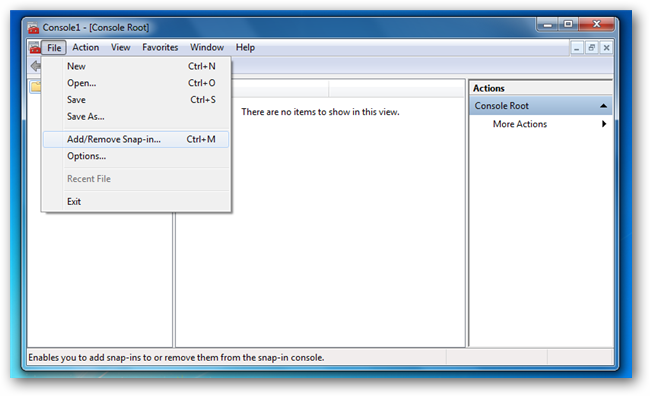 This will open a blank MMC console, click on file and then choose Add/Remove Snap-in.. 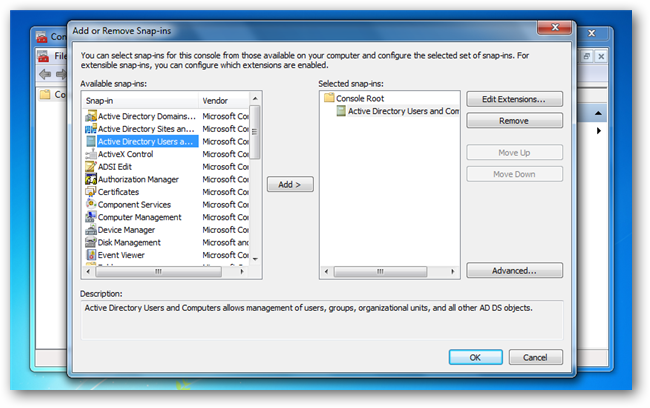 Choose Active Directory Users and Computers from the list and hit the Add button. 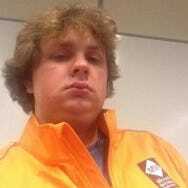 If you are logged in with a Domain Admin account, it will automatically connect to the Active Directory instance, if not you will have to connect to it manually.